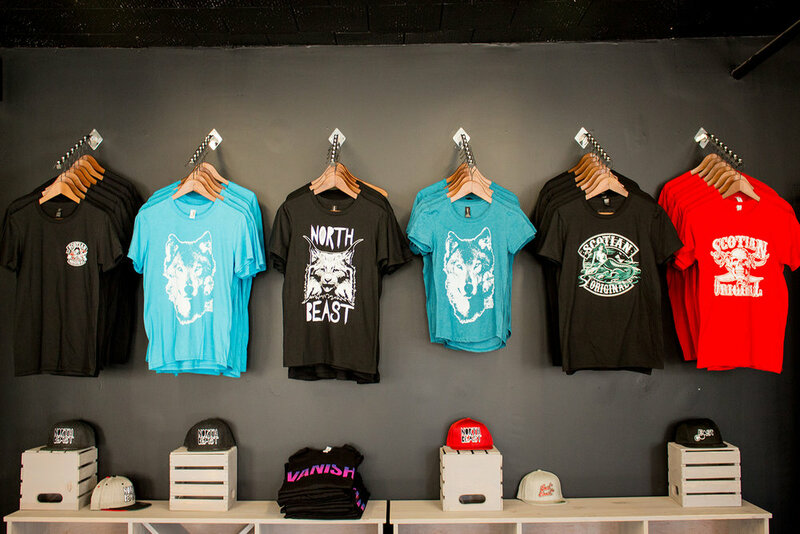 Come check out our boutique for in house labels. Scotian Original, North Beast, Trade Corps and more! We offer a wide variety of different brands and styles to meet your needs. 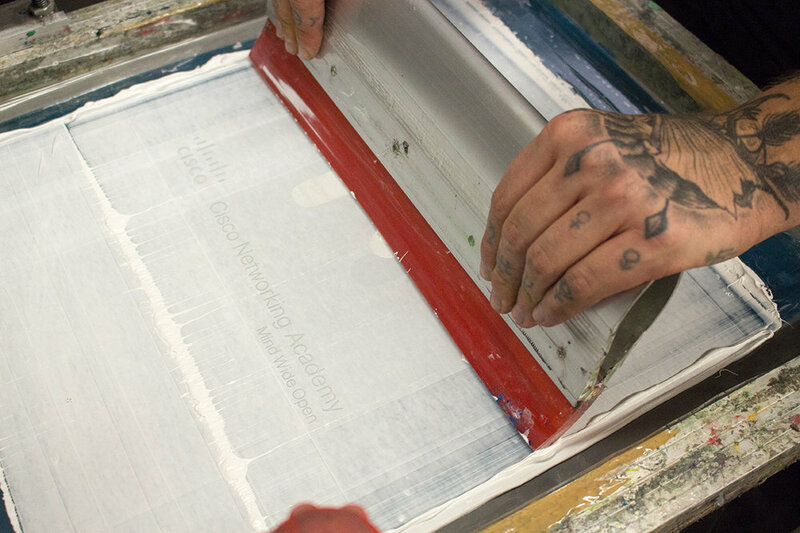 We print each and every shirt by hand. Looking for an estimate? Our quote calculator will provide you with an estimate on some of our most popular styles. We deal with a ton of brands and suppliers to cater to our clients needs. Everything from the basics to boutique lines to corporate apparel to promotional items. Check out or products page to see our diverse range. We're located at 2411 Agricola in Halifax, NS.